The verdict that was just released DOES NOT satisfy our demands for justice as victims in the assassination of Berta Cáceres and the attempted assassination of Gustavo Castro. The decision that has been made in the 1st District Sentencing Court condemning the group of hitmen and their intermediate structure related directly to the DESA corporation does not mean that justice has been obtained. The structures and people who gave the money for these criminals to assassinate Berta Cáceres are still free and able to continue carrying out crimes like this one with impunity. Since the beginning of this process – almost three years ago now – it has been clear that the assassination of Berta Cáceres was planned by the leadership of the DESA corporation and then carried out by hitmen linked to the Honduran Armed Forces. 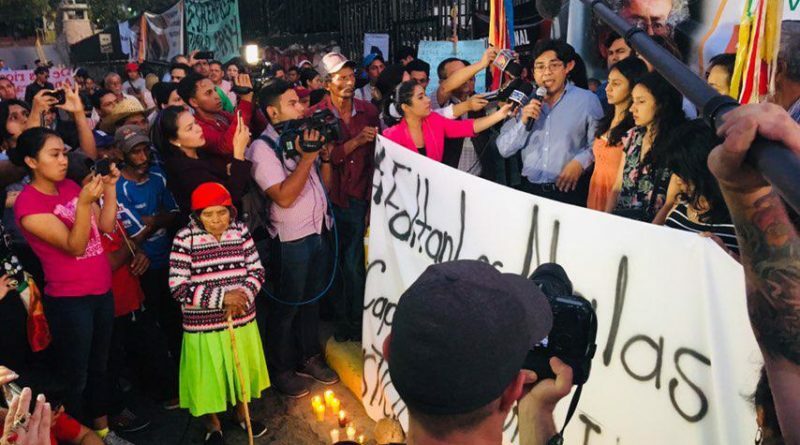 Nonetheless, the full truth surrounding this crime and all of those responsible for it has been limited to those who were just condemned through intentional obfuscation by the Honduran state via its Attorney General and courts. They seek to deny access to the truth, which is part of true justice. What has become even more clear during these legal proceedings, from which we have been expelled due to our refusal to be silent in the face of the daily abuses in the court room, is that the Atala Zablah family, who have an ownership stake in the DESA corporation, are behind the entire plot of persecution, intimidation, attacks and threats that led to the assassination of Berta Cáceres. Our participation as victims is a fundamental part of the judicial process and the State, by systematically excluding us, perpetuates the impunity that inundates this country and causes so much harm. During the trial we, along with international observers, diplomats and the press, bore witness to the telephone communications that show this participation. 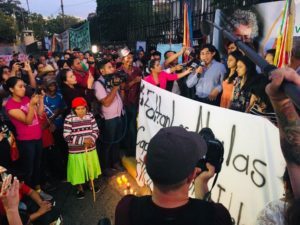 This also made it clear that the criminal acts committed by the DESA corporation under the leadership of this family go beyond the assassination and comprise a series of crimes carried out against Berta Cáceres, COPINH, the Lenca people and the public administration and state of Honduras. We ask the state and its institutions, what interests are at stake that motivate you to behave in a way that protects the masterminds whose names are no secret? Why, despite clear evidence of their participation, have they still not been charged almost three years after this hideous crime? What are you waiting for to carry out your responsibility?? 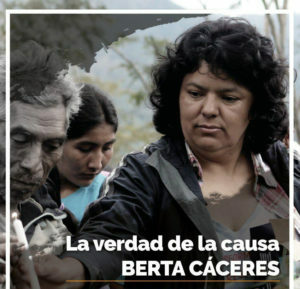 We demand that all of those responsible for the assassination of Berta Cáceres be brought to justice and not just those who were paid by DESA to carry our the crime. 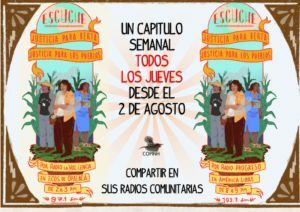 The struggle for justice for Berta Cáceres and the Lenca people does not end with the chapter that closes today, the convictions of the lowest layer of the criminal structure, with which the Honduran state seeks to silence the demand for justice. On the contrary, we are deepening our efforts. These convictions are the first step in the search for justice and the family, Gustavo Castro, COPINH and the legal teams have been accompanied by those who believe in Berta Cáceres, in her words and actions and we know that they will continue to make a principled stand on the side of truth and justice in the battles to come, which we will wage with complete determination. The impunity that the masterminds of this crime continue to enjoy is part of the plot of corruption and violence that sustains the model of extraction that plunders our peoples. As victims, and other people, communities and organizations we commit to continue confronting it, like Berta Cáceres did, until dignity, truth and justice prevail in this case and in all of the struggles that are being waged right now throughout Honduras and the world. 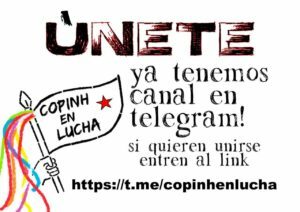 We and the entire Honduran people are still owed a debt of justice! Written in the city of Tegucigalpa on the 29th day of the month of November in the year 2018.